CNN released a statement attacking President Donald Trump for his spat with CNN’s White House correspondent Jim Acosta on Wednesday afternoon. 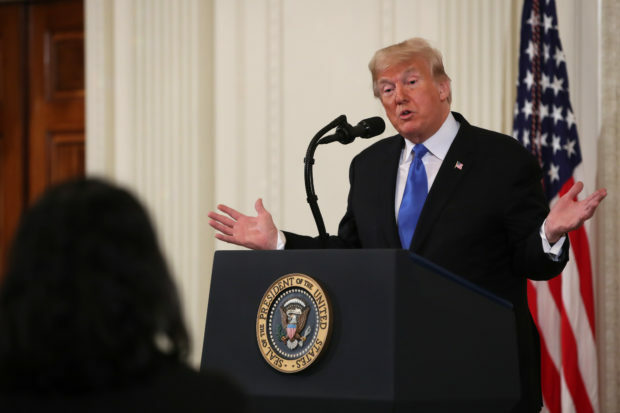 CNN’s message was in response to a heated back-and-forth between Acosta and Trump during the president’s press conference in which Acosta began by trying to challenge the president on a statement he made about immigration prior to the midterm elections. Acosta proceeded to bring up the president’s rhetoric about the migrant caravan that’s headed from Central America through Mexico to the southern border of the U.S.